If you’ve got an extra grand laying around, you can pre-order one of [nortd]’s touchkits. 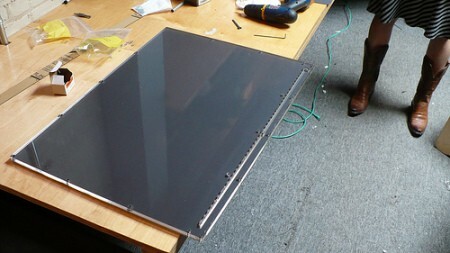 It features a unique custom made acrylic screen with a crap ton of IR LEDs embedded in it. An included IR camera provides the input and a projector (you get to supply your own) is used to light the surface. We mentioned this in our multitouch roundup and you can find a video of it embedded after the break.